People are its country`s strength. If its people are satisfied & happy, there will be unity in their various endeavours & purpose. Their various actions will be positive & thus harmony will prevail in the society. If harmony is there, there will be more productivity. More productivity means higher GNP & thus higher incomes & benefits to the citizens. But, all this is easier said than done. It needs to have clear vision to manage the country to its goals which require commitment, drive, passion, skills, selflessness & many many other parameters. One of the prime requirement is taking all –the opposition parties & the community along with you, in the march to achieving various set targets. The first address of Mr Modi, in the Central Hall of the Parliament, to my mind, gives ample indication about the mindset of the Prime-Minister-to be, that the care & comforts of the common man of the country, major percentage of those are steeped in poverty despite more than 65 years of independence will get priority in the scheme of things, in the new dispensation. Perhaps, their[citizens] days of being affected day in day out, by the apathy of the governance-apparatus may be over soon. Earlier,it starts happening, better it will be for Mr Modi, his party BJP & the allies. His emotional discourse touched the heart strings of many present in the Central Hall & even brought tears in the eyes of quite a few other prominent leaders/persons present there!! What does it indicate? To my mind, it is a beginning of new order, starting from the hallowed precincts of our democracy, which in the past few years have been reviled by many of its elected/chosen members, who had number of criminal cases of serious nature filed/pending against them, since years!! !The election results are a clear indication of the electorate anger & disenchantment with such Parties who pampered, protected, patronized & promoted such type of persons, instead of taking timely disciplinary & punitive actions against their many mis- –demeanours & criminal acts?! Any country,state,organization,family can only do well in the long run, if its Heads & seniors have clear & honest intentions to bring positive improvements, in the system under their charge.If honesty becomes the norm, then, it has been experienced all over the world that improvements & positive results start coming in, soon. The example of Singapore in this context can be quoted without any doubt or hesitation? Here ,in this small Republic which got its independence only about 50 years ago, financial integrity has become an integral part of the Singapore, as was recently quoted in the editorial of one of the prominent newspaper of this city-state. The editorial also inter-alia mentioned that`if countries now mired in corruption which were not always so ,provide a lesson that civil servants would find it shameful to be exposed for wrong-doings when 95 percent of the bureaucracy was honest ,but, when 95 percent was dishonest he[and his peers]would consider his staying straight to be an act of folly.The battle against corruption depends on whether HONESTY IS THE NORM.In that case it is imperative that the political leadership has to be determined to uphold high benchmarks of public integrity & probity.The law should not exist on papers but need to be implemented in a time bound manner without any discrimination & favouritism. In this context, police & judiciary has very important role & duty to discharge ,too. If the new leadership in our country decides straightaway that they will follow the path of firmness & rectitude, then the faith of the Indians esp of its common men, in the system will be vindicated.It it is not done or even if there is delay in treading on this path then as per the survey of the World Justice Project[WJP] covering 99 countries, citizens get undermined by lukewarm investigations that results in culprits going scot-free even when there is strong evidence of corruption & the media extensively publicize the issues. 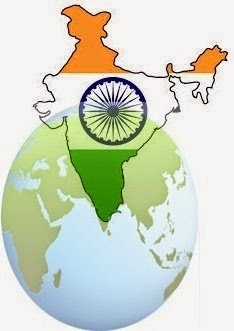 If a small country like Singapore with limited land area, population & natural resources can evolve an efficient operating system which is attracting entrepreneurs & companies from all parts of the world because of its excellent infrastructure & efficient work culture then ,I am sure, our India with all the resources[which it possesses] will soon start marching in the right direction under new Prime Minister. It is no point re-inventing the wheel. Best practices can be emulated.Partnership in skill-formation & other vital areas can be made with countries like Singapore & many other countries who are efficient & effective in many areas. How? This will be discussed in the next parts of the Article.